Do they actually mean mind‐bending? Mind‐boggling? Mind‐blowing? Or, they really did mean mind‐shrinking. But then one’s creativity is expected to expand at the same time. 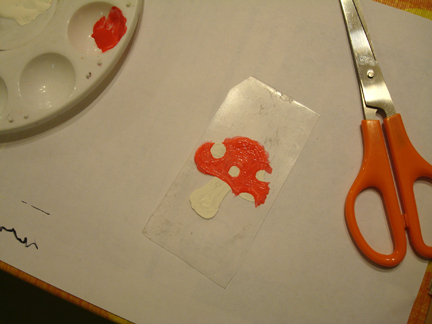 While I was baking the store‐bought shrink plastic, I thought I would also give the #6 plastic a try. Since I first saw the idea on Dabbled I’ve collected a couple of #6 plastic containers, mainly from doughnuts (Yes, I did buy the doughnuts for the plastic, but I certainly enjoyed the sweets too :D). I think I layered on the paint too thickly. 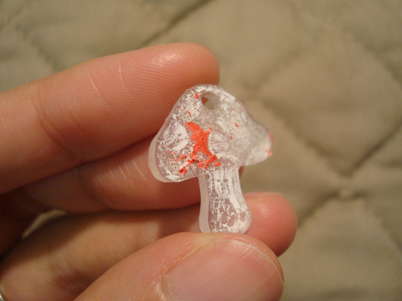 Or acrylic just doesn’t work in the shrink plastic process at all. 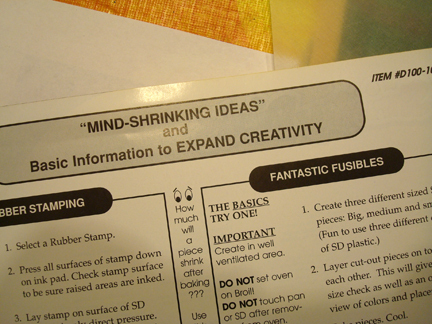 Or I just really shouldn’t trust those mind‐shrinking ideas from the Shrinky Dink manual anymore. I actually wanted to get the swiss rolls for the swiss rolls, not for the plastic container. 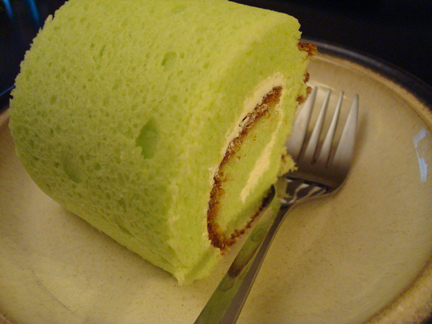 But to my surprise, as we were half way done the swiss rolls, I noticed that the container has a tiny #6 on it — SCORE! This time, I learned not to use acrylic paint, and instead sanded the plastic thoroughly with some fine sand paper, and then coloured it with pencil crayon. 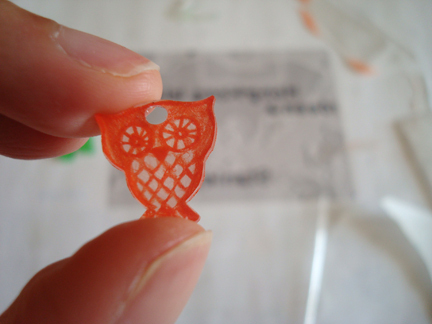 And then, inspired by the lovely necklaces from this shop, I attempted to make a Hong Kong Island charm. 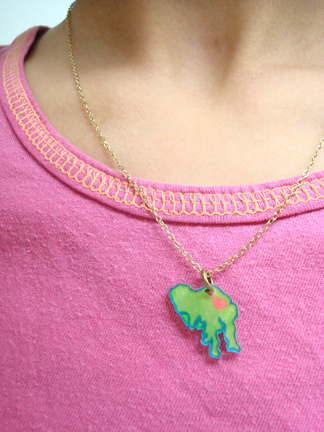 If I had the money, I would absolutely order from the shop and have Hong Kong Island made in silver. But for now I’m happy with some recycled plastic. Hong Kong actually also includes the Kowloon Peninsula and a number of small surrounding islands, but those would be difficult to incorporate in a charm. 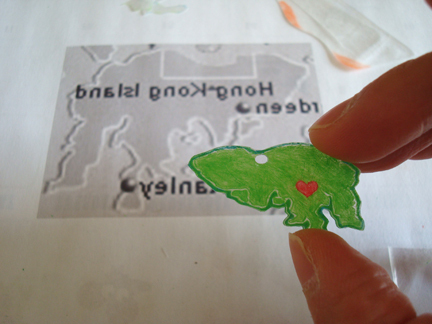 Plus, I thought Hong Kong Island would make a fun necklace charm because it looks like a frog (like the chant I was taught in school as a child, to learn the geographic features of the land, “Hong Kong Island is shaped like a frog”. In Cantonese, of course). I printed out a map and traced over it. The first attempt turned out somewhat squished. It looks like it hasn’t completely finished shrinking, but I watched it for half a minute and it didn’t continue to shrink, and I didn’t want it to melt or burn, so I just took it out. So for the second attempt I stretched the map vertically a bit in Photoshop before printing it, and its shape turned out much better. Unfortunately, because of where I put the hole it didn’t hang properly (didn’t think it through…). So with the last bit of plastic I tried again. And that’s what I settled with. It’s stretched a bit funny too, but not because of the baking, but because the map I traced it with was stretched length‐wise, since I thought the plastic would stretch sideways in the baking. 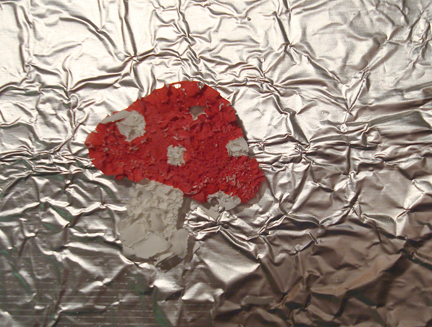 But now I think plastic has some kind of “grain”, like paper, where it would stretch one way and not the other. And the quest for #6 plastic continues! Do you want me to keep my eyes open for #6 plastic Trish? 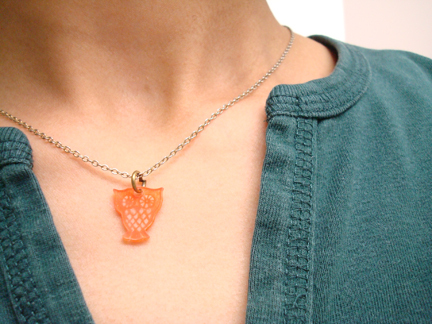 Anyway, your owl and Hong Kong necklaces are both so charming. :) And I wish I had a slice of that beautiful cake, yum. the #6 plastic indeed worked like a charm! 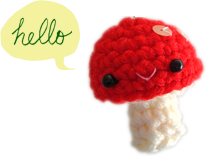 :D happy crafting!